While I love making 'technical' props this weekend I'm off to try out a new LARP system that uses NERF guns for combat and fancied painting some up. 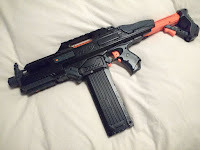 So I bought a Rapidstrike which was on special offer, dug a Maverick I had kicking around out and painted them both up with Poundland spray paint. The paint is cheap but it's cellulose rather than acrylic which I prefer for adhesion and toughness. It also comes in small cans which you end up finishing. I hate buying expensive paint and only using half of it because the nozzle gums up. I stripped the guns right down, masked off some of the original painted areas and left some of the original orange on the moving components as they get scuffed up easily. 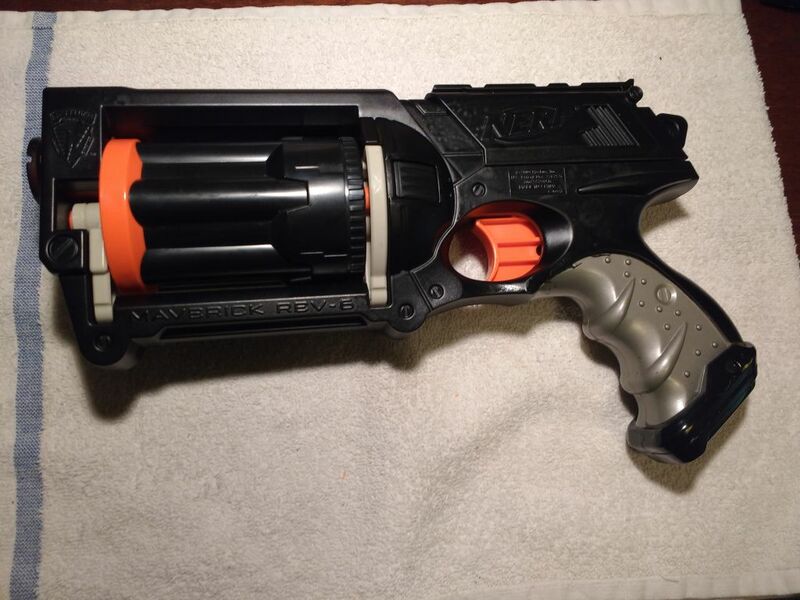 The Rapidstrike was slightly fiddly inside but not terrible and it seems to work afterwords. In the end these have come out really nicely. The different shades mean they're not just matt black lumps and stripping them down first really helps with definition and coverage. The orange parts are quite nice highlights and leave a little visual clue they're still toys. Although I wouldn't want to test that by waving the Rapidstrike around anywhere public.